Andrea has been in the mortgage industry since 1986. She has worked in every aspect of the industry. As an Underwriter for many years, she understands guideline requirements and knows what it takes to package a clean file and what is needed to allow for a smooth and painless process for her clients. Having a full understanding of each aspect of the process allows her to keep her clients comfortably informed up until closing. She obtained her Real Estate License in 1990 and then went on to obtain her Brokers license in 2006. 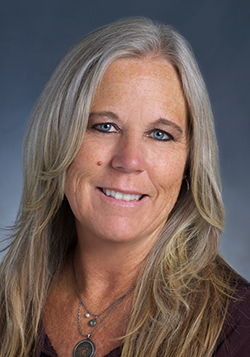 She has been serving the Santa Cruz Real Estate community for well over 20 years, hosting First Time Homebuyer seminars to educate on what types of program and product offerings are available to service clients. She is well versed on all loan product offerings including Conventional, FHA, VA, 203k Renovation loans, Jumbo financing and an array of different First Time Homebuyer programs. She is an expert on helping clients determine which option will best serve their needs. Andrea is an avid music lover and can be seen at just about any music venue. She also enjoys the great outdoors, hiking the many areas that Santa Cruz has to offer, and of course spends much of her free time at the beach.